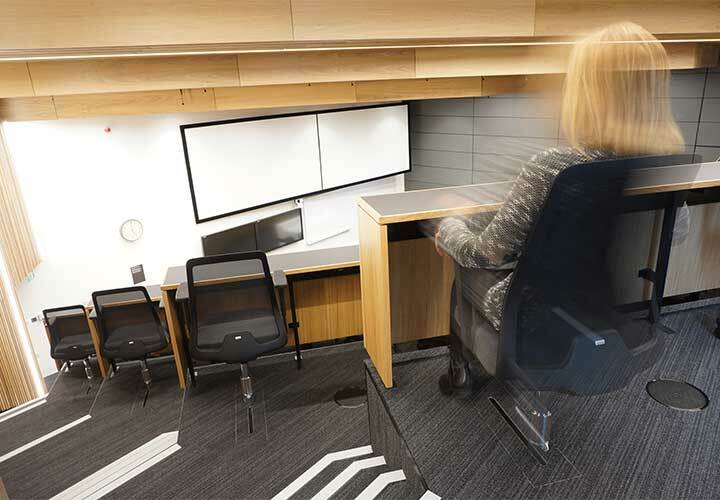 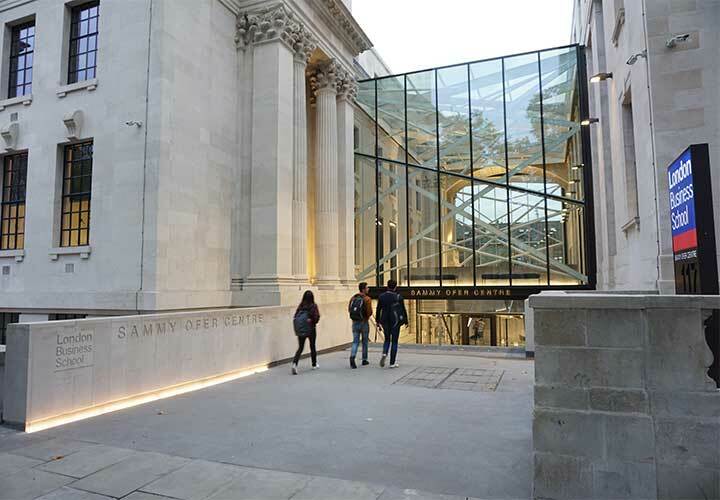 London Business School has begun a new chapter in its history with a state of the art teaching hub housed within an iconic London building, the Old Marylebone Town Hall. 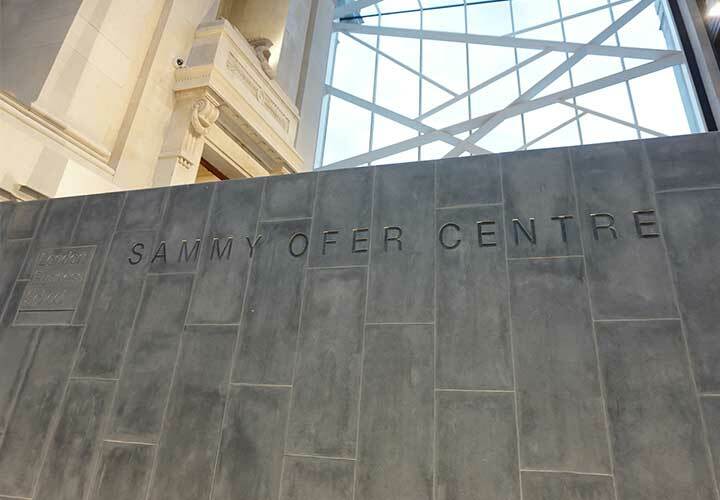 The new building has been named the Sammy Ofer Centre in honour of the late Sammy Ofer KBE, a celebrated philanthropist. 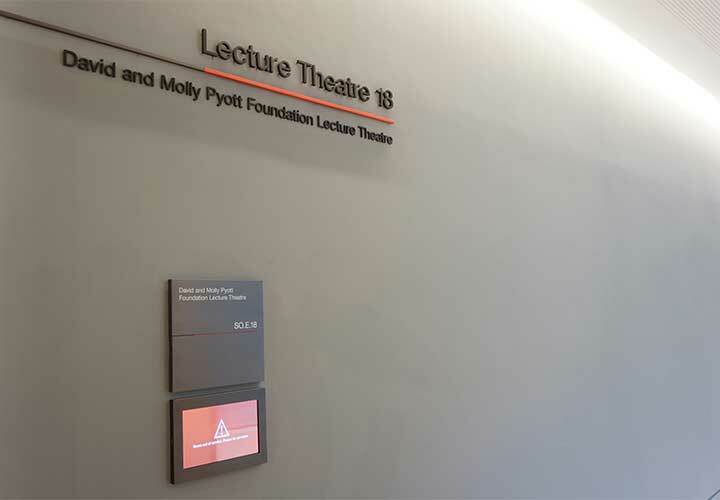 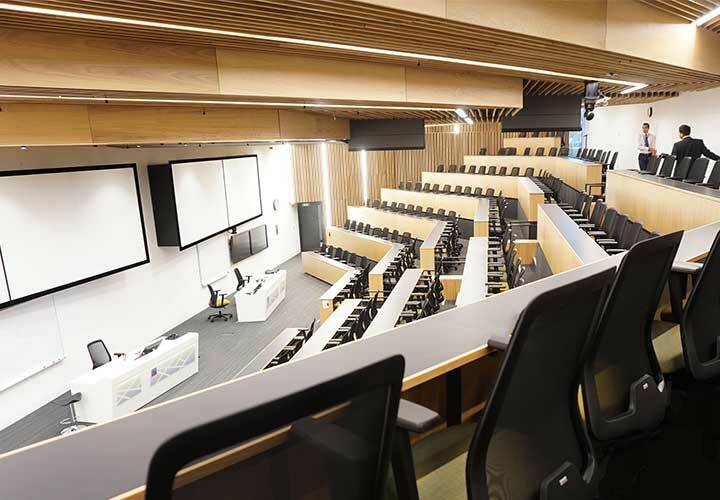 The new centre will increase the capacity of teaching space by 70% and is supported by 6 multifunctional lecture theatres. 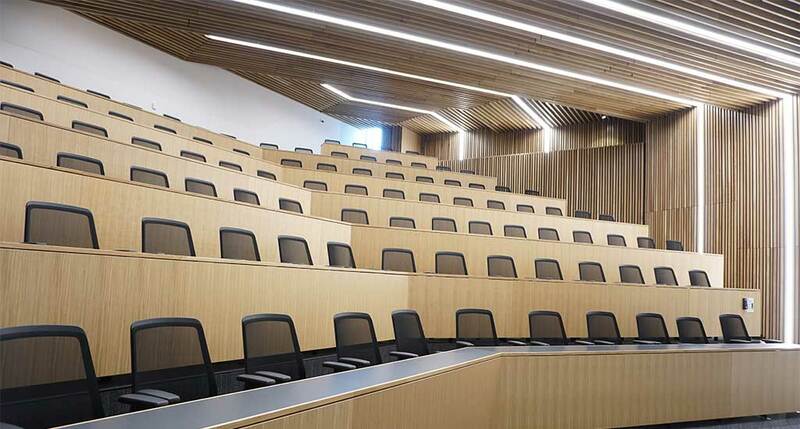 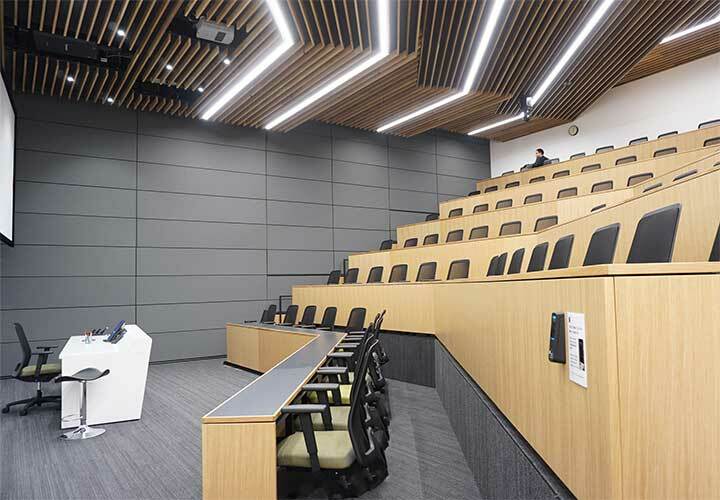 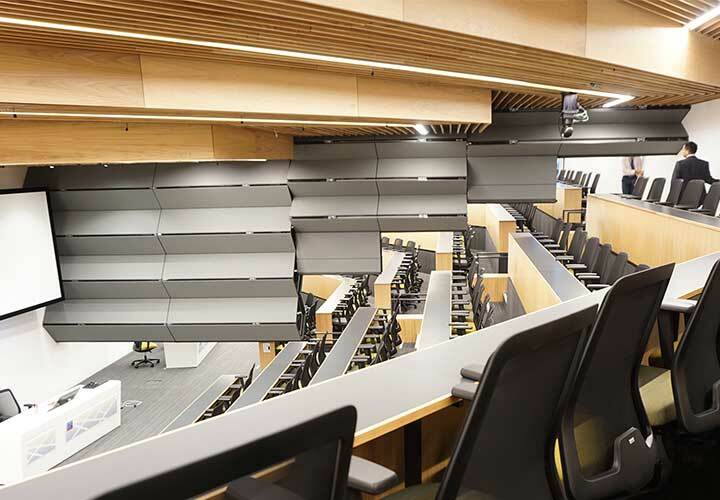 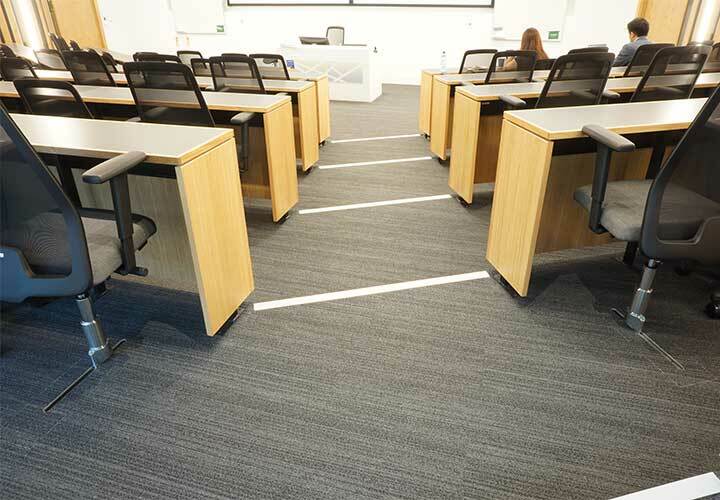 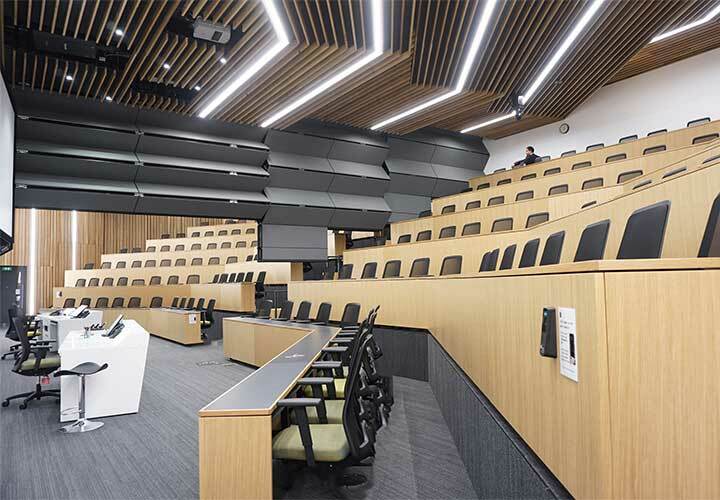 The layout of the theatres has a steep stepped design to utilise the remarkable height available, and a sliding seat at the end of each row ensures good access and exit, maintaining a safe arrangement. 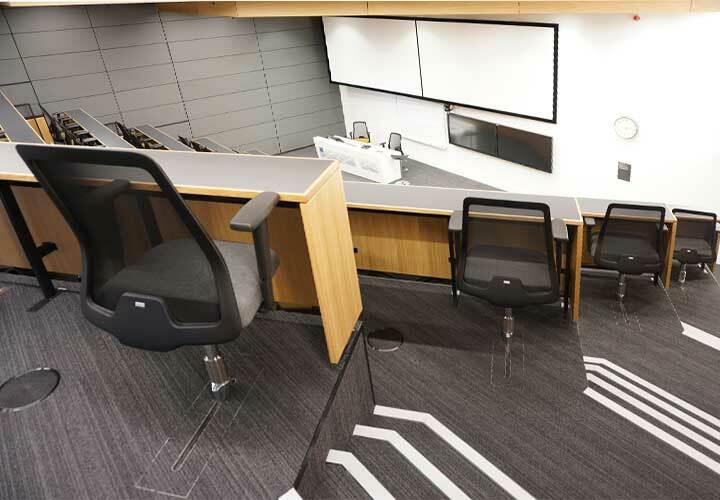 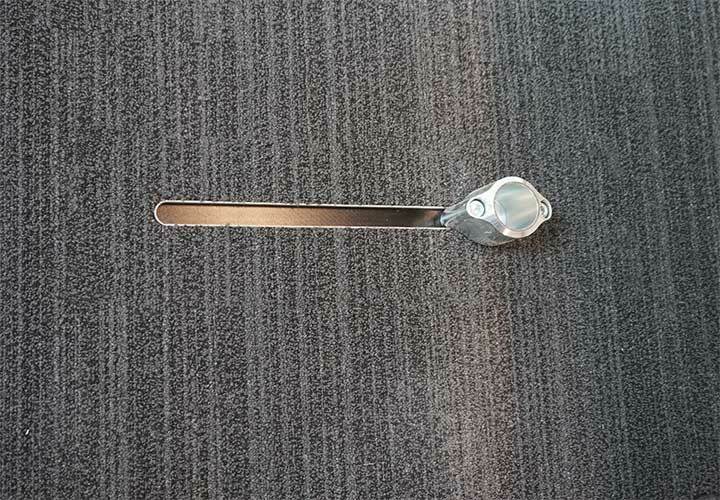 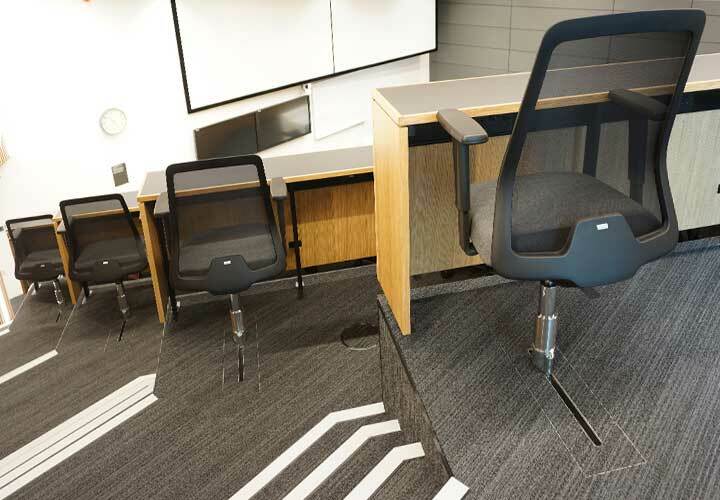 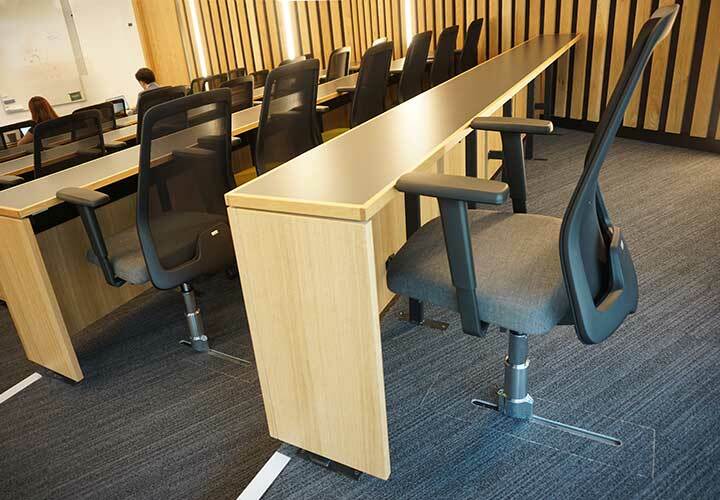 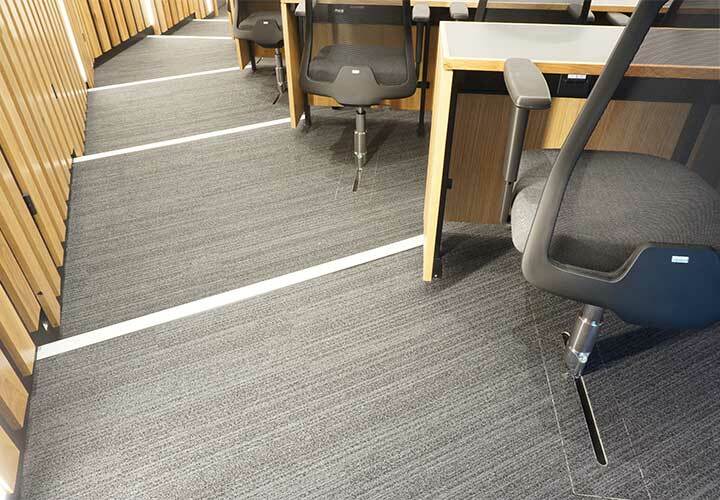 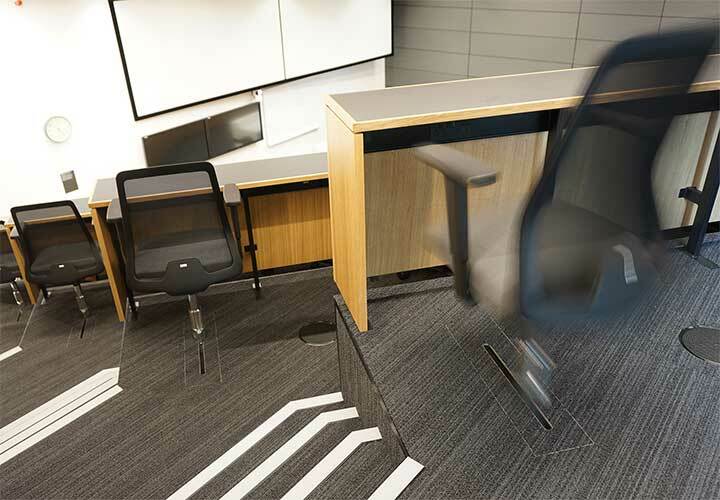 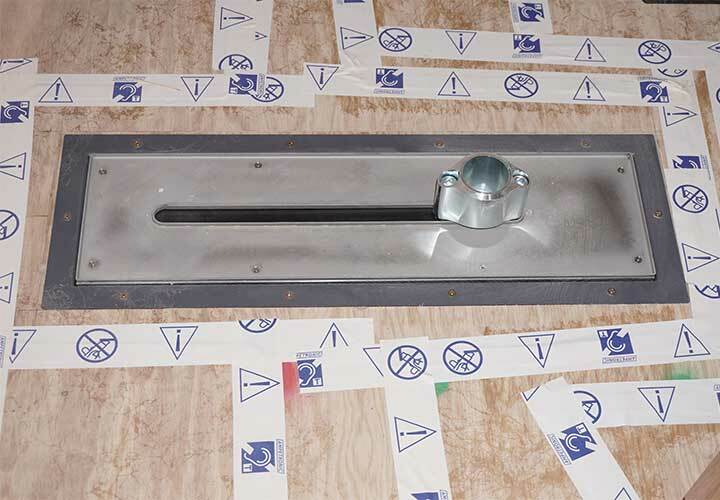 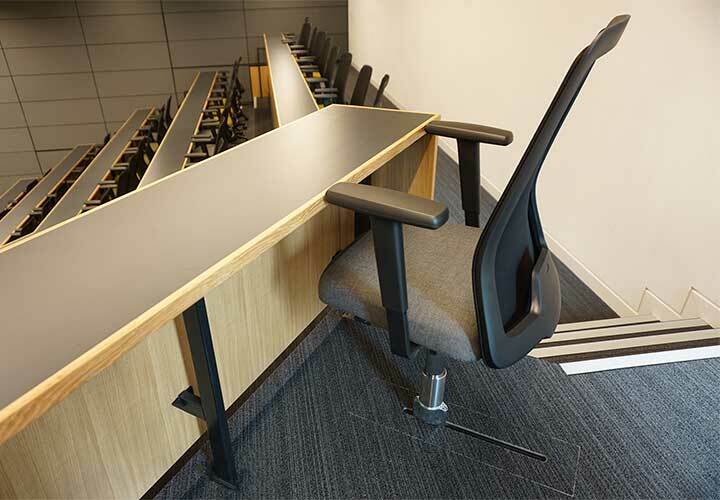 The sliding mechanism is recessed in the floor platform and allows the seat to return to a set position when not in use.